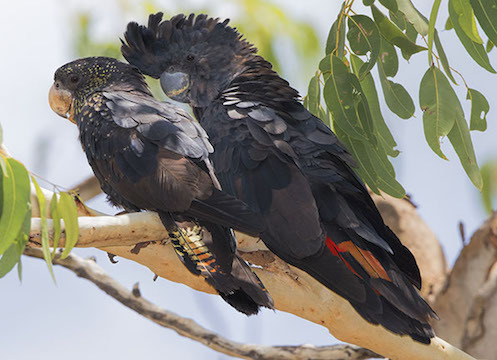 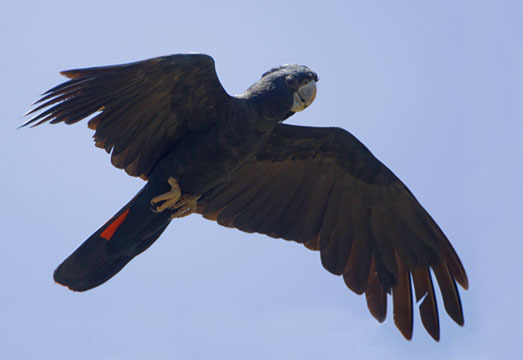 Red-tailed black cockatoos are among my favorite Australian parrots. 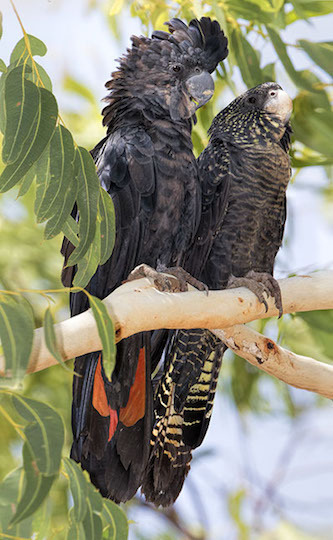 They are big, noisy, and highly social, occurring throughout much of the drier portions of Australia. 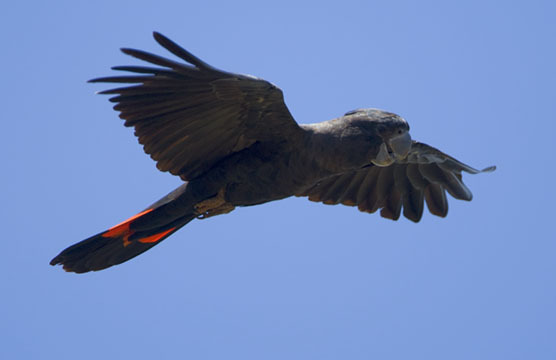 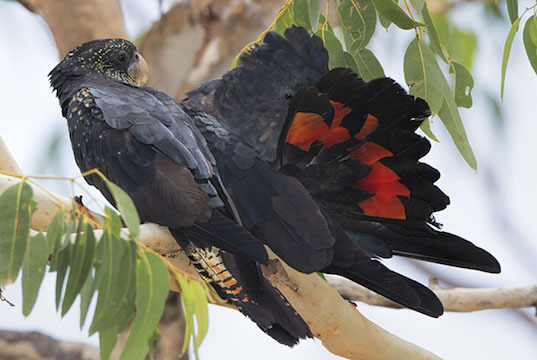 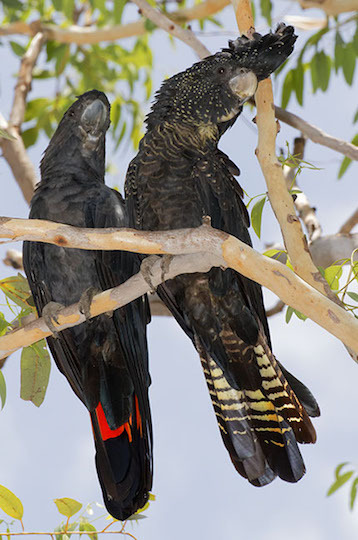 The sexes are fairly similar, but can easily be differentiated: males have bright red and black tails, while females have orange-yellow tails with intricate black barring, plus yellow spotting and barring on the body and wings. 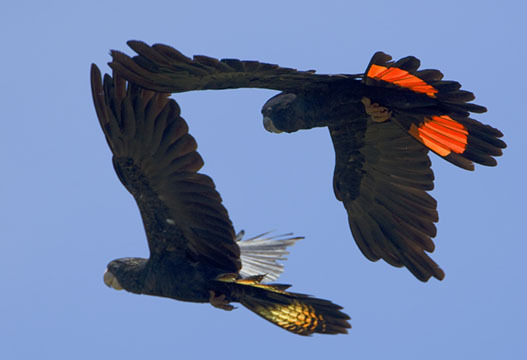 These were near Darwin in the Northern Territory, and near Mareeba, on the Atherton Tablelands in north Queensland. 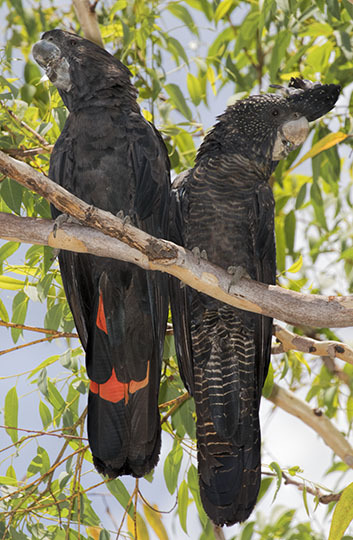 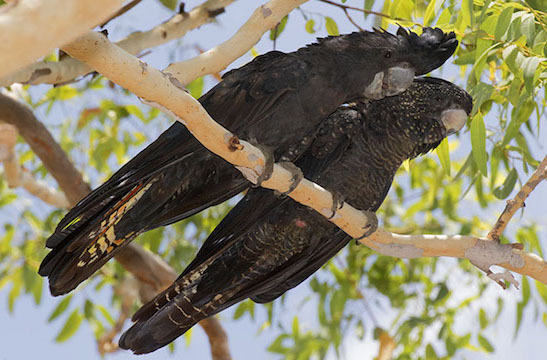 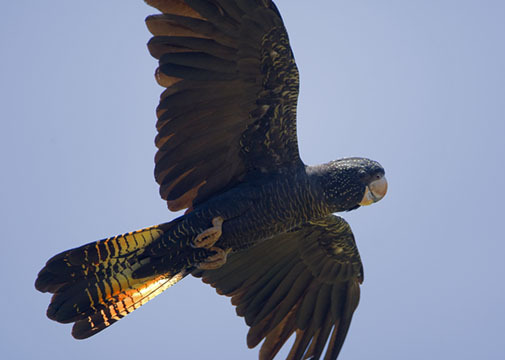 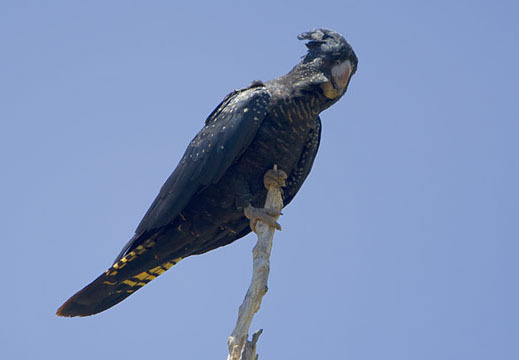 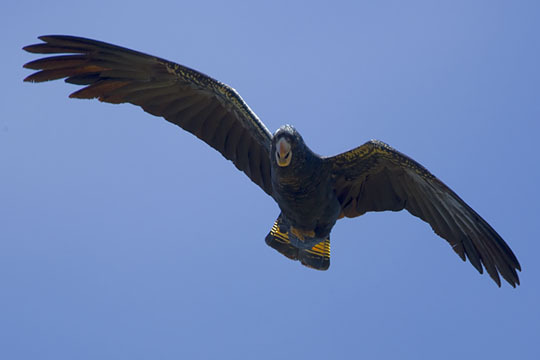 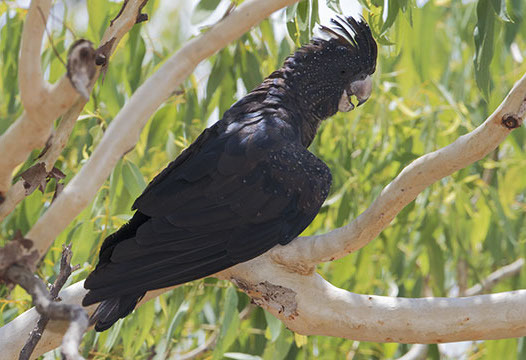 I also obtained images of the yellow-tailed black cockatoo, and the long-billed and Carnaby's white-tailed black cockatoos.